Fisker Automotive is reportedly urgently seeking partners and has hired a turnaround company to conserve cash. While Fisker knows how to design stunningly beautiful luxury sedans, the company has had a long series of difficulties. The most recent of those stem from the bankruptcy of A123 Systems, forcing Fisker to freeze production of the Fisker Karma because A123 Systems has been unable to supply battery packs. While the bankruptcy sale of A123 Systems to Wanxiang is now complete, Fisker Automotive is curiously absent from the list of automotive companies that A123 Systems LLC listed as customers. A123 Systems went into bankruptcy in October 2012 following months of problems originating with disclosure of battery pack manufacturing defects. The problems cost A123 Systems millions of dollars, blowing a hole in that company's financial status, eventually forcing the bankruptcy. On Wednesday, A123 Systems finalized the sale of itself to Wanxiang America, the American arm of the Wanxiang Group, a large Chinese automaker. 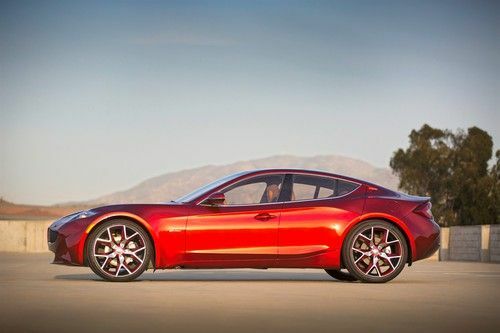 Because of the A123 Systems bankruptcy, Fisker Automotive has reportedly been unable to build Karma's for over 6 months. Fisker has had other problems including the freezing of Dept. of Energy loans to that company followed by Fisker missing production and business development milestones. The frozen loans have halted Fisker's work to set up manufacturing at a former GM plant in Delaware, meant to be the manufacturing location for the Fisker Atlantic. Even though Fisker Automotive has raised a prodigious amount of capital (over $1 billion), there is a simple fact that without sales the company has no revenue and is facing enormous expenses if only in finalizing the Atlantic design and starting up a manufacturing plant. Among the news of problems, Fisker Automotive has had several pieces of good news over the last year. A business update released in May 2012 claimed the company's finances were sound, and that everything was fine. The company has won several prestigious design awards, and has a growing dealership network, including an expansion into the Middle East. Reports began circulating two weeks ago that Fisker Automotive is actively seeking "partners" and may be looking to be bought out by a larger company. The latest reports include one that Fisker has hired turnaround specialist, Huron Consulting Group, to help the company preserve cash as it seeks more investors and partners. Huron’s Hugh Sawyer is serving as chief administrative officer for Fisker, according to Roger Ormisher. According to a Bloomberg News report, Fisker is also working with Evercore Partners to seek investment dollars, and Chief Executive Officer Tony Posawatz's main job at the moment is fundraising. A new investment round could begin in February. The company's last investment round ended in September 2012, and the company has raised over $1.2 billion from private investors so far. A key problem for Fisker is the inability to build more Karma's because of A123 Systems' bankruptcy. One might think that with Wanxiang America now in charge, that the new A123 Systems LLC will be able to start making battery packs for Fisker allowing Fisker to resume Karma production. But, curiously, the A123 Systems press release listing automotive manufacturing partners did not list Fisker Automotive. Reading between the lines this may mean Fisker is going to be frozen out of A123 Systems battery pack production. If so, Fisker could be in even deeper problems, but Wanxiang is one of the companies with whom Fisker is having conversations. According to Crain's Chicago Business, Wanxiang is looking to invest in Fisker Automotive but not to buy the company. Ormisher told the LA Times "There has been interest from different people on three continents in terms of strategic alliances and partnerships. There are ongoing negotiations and discussions. Different partners want different things from any partnership or alliance, and approach the talks from different angles. We are looking at what will help us bring Atlantic to market in the best possible time frame." Do you need a loan? have you been looking for how to get access to a private lender? If yes, Here is the opportunity to get a cheap loan. We offer loan at low rate of 3% and we are contacted at [email protected] Thanks..